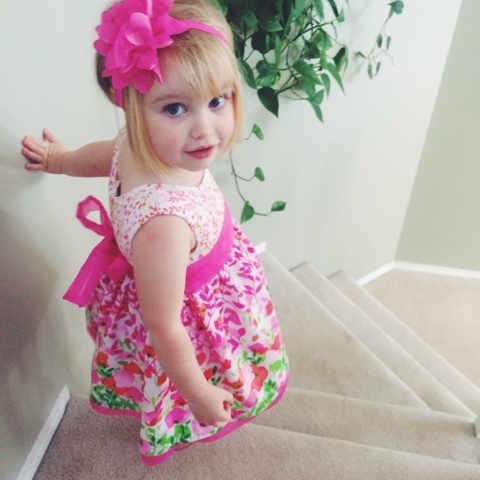 Grumbling Grace: Style Perspectives - Flower Power! Last week on Style Perspectives, we were talking patterns and I had so much fun over on The Blended Blog! Here are a few of the looks you might have missed! I cannot get over floral this spring. If I had 1970s curtains to wrap myself in, I probably would. "Hey Mom. I look amazing. Why haven't you even gotten out of your PJs?" And Gabrielle's still too young to protest so I'm enjoying that while it lasts. "Send help. 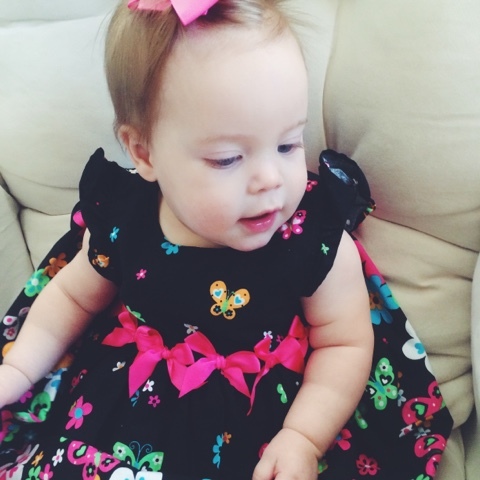 Too many hair bows." 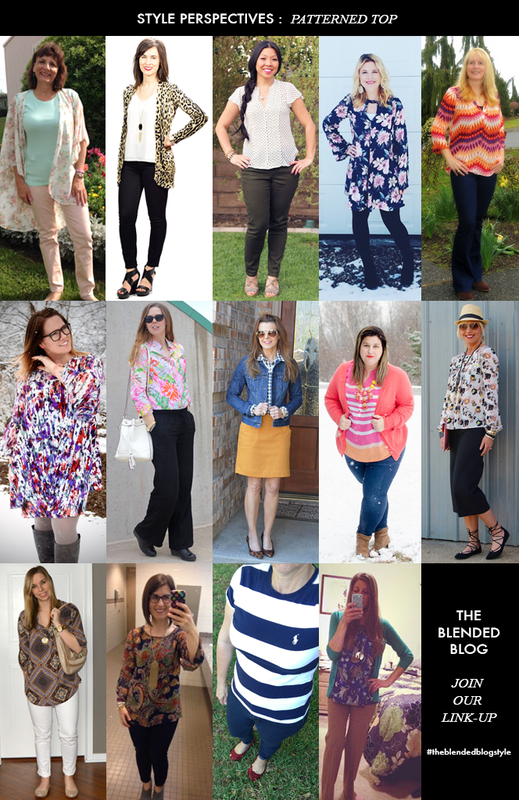 So when this week's style challenge with The Blended Blog was "styling bright pants," I put on the plants... I mean, pants. Let's be honest, ladies. I feel like always sometimes fashion is for each other, not for the men in our lives. I'm pretty sure my husband isn't oohing and ahhing over my florals but we've been married almost nine years so I was smart enough not to ask him and he was wise enough not to offer an opinion. Anyway, today's post is short and sweet, just like me... Well, I'm SHORT anyway, so one out of two isn't bad. 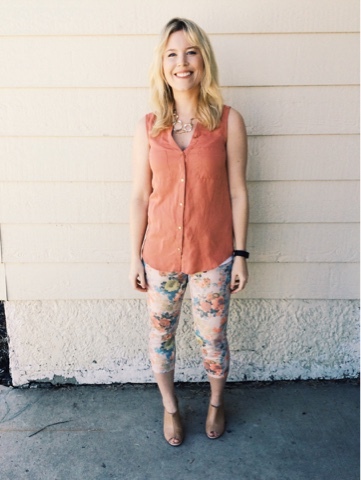 Here's my bright pants look for spring and I pulled out my orange shirts that I usually wear for fall because I've been seeing them styled for spring and loving it! Yep. That's a FitBit. Next step, exercise. Baby steps, people. and then the adapted North Pole Saskatchewan certified version. I've also been wearing this jacket every day. 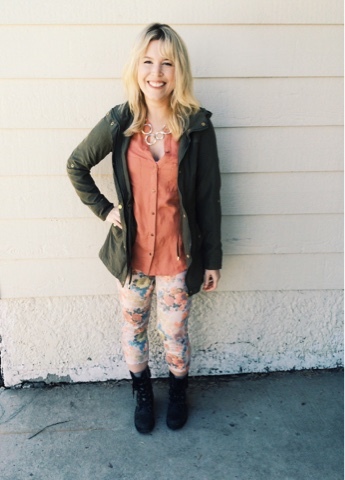 Floral pants and boots makes me feel very Blossom circa 1991. Not sure how I feel about that. See? No parka! It's been GORGEOUS outside this week (think like not-freezing temperatures) and I am loving the sunshine and the hope. What's your favourite way to style bright pants? Do you have any style choices your significant other doesn't exactly LOVE? Make sure you head on over to The Blended Blog to see how Shaunacey styled her bright pants and link-up below if you've joined in the fun! 14 bloggers each picked a look that defined their personal style. 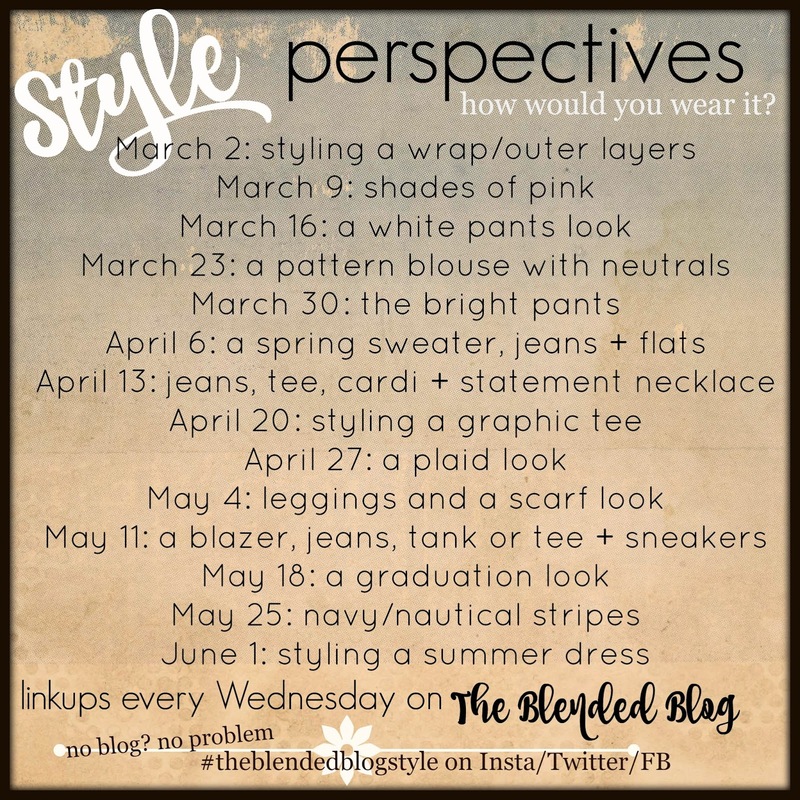 Each week, the featured blogger on the Blended Blog showcases her signature style and the other ladies interpret it on their own blogs.